Dear friends, 2016 is already knocking at the door and we want to wish you a happy new year and merry holidays! But that is not the only thing we want to say. We are going to present you brief but colossal results of our work throughout the past year. 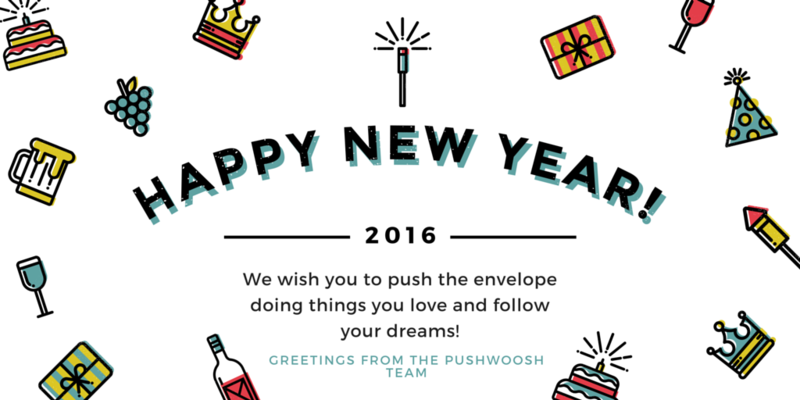 In 2015 the number of registered Pushwoosh user accounts doubled (up to 50k). We have surpassed 80 billion pushes sent to more than 20 platforms. Number of devices receiving our push notifications and maintained in our database raised up to 800 million this year. So, as you can see, we did a great job, we have a passion for it and we look forward to new challenges and achievements!